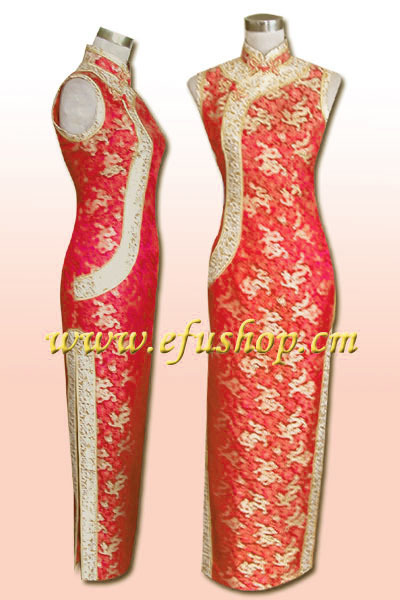 Description: Red background with gold dragon silk tapestry satin. mandarin collar, orchid button at the neck. Double slits, sleeveless, ankle length. Yellow satin wide piping on the neck, cuff, front and slit. Hi, do you have a better quality picture of this? Thanks!